Katharine Hamnett London 1983 archive reissue army white shirt. 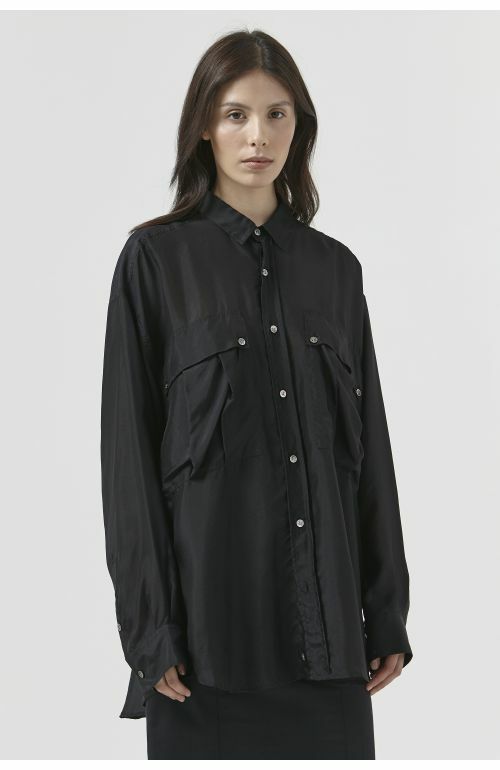 Oversized fit poplin shirt with small collar and stitched through placket. Military inspired outsized pleated pockets and buttoned down pocket flaps. Single cuff with single button and buttoned placket. Cross-stitched pleat at centre back and French seamed throughout. V insert at side seam. Curved hem at front and back and V insert undersleeve. Mother of pearl buttons. 100% organic cotton. Made in Italy. Oversized fit. The model is 6'2.5"/ 187 CM and is wearing size OS.